Coming off of a shut out loss the Region leading Lady Vikings of East Hall the Lady Tigers found themselves in a must win situation. Facing another strong team in the Trojans of North Hall proved to be too much on Wednesday. Dawson struck first to take a quick 1-0 lead in the top of the first inning. That lead was rapidly relinquished as the Trojans scored runs in the bottom of the first with 5 on the board. The North hall offense continued to see the ball well and scored 2 in the second, 2 in the fourth and 5 big runs in the fourth to total 14 runs in the victory over Dawson. The Lady Tigers scratched out 1 additional run in the top of the fourth but Dawson couldn’t get a rhythm going against the Trojan’s pitcher in the 4 inning game. The Dawson defense committed 7 errors in the game that contributed with only 2 of the 14 runs being earned. Maggie Schandera took the loss with 79 pitches in 3 and 1/3 innings. The Lady Trojans put up 14 runs on 12 hits that included 3 home runs.Bella Henson and Brea Crane had hits in the gams with Henson and Carol Drake crossing the plate for Dawson County’s 2 runs. 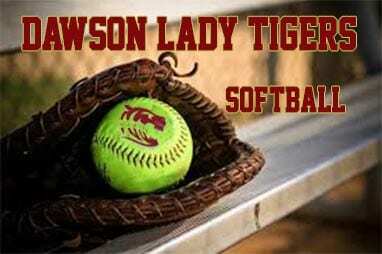 This loss wraps up the 2018 season for the Lady Tigers of Dawson County High School. Next Article » “Conservative” Republican Congressman Tom Graves refuses to support English as the official language of the United States.